We’re delighted to announce that our winter Would Like To Meet… event for 2014 will be hosted by Roundhouse. Come and meet people from across the music education sector at our unmissable networking event on Monday 10 November from 6.30pm to 9.00pm in the Hub of this cutting-edge London venue. 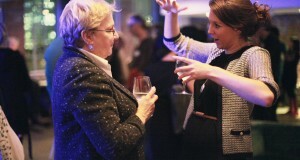 Join us for wine, music, nibbles, giving you a great chance to meet, share and learn from others.